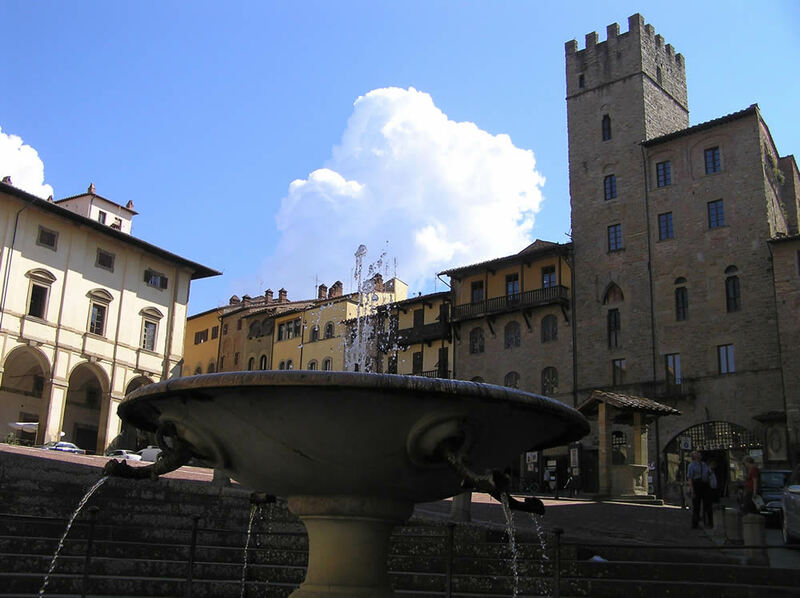 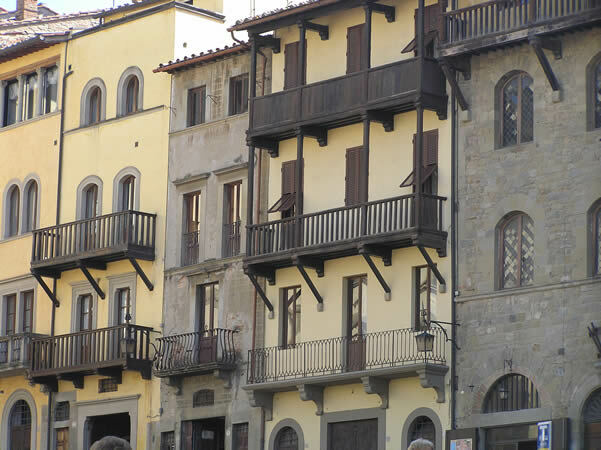 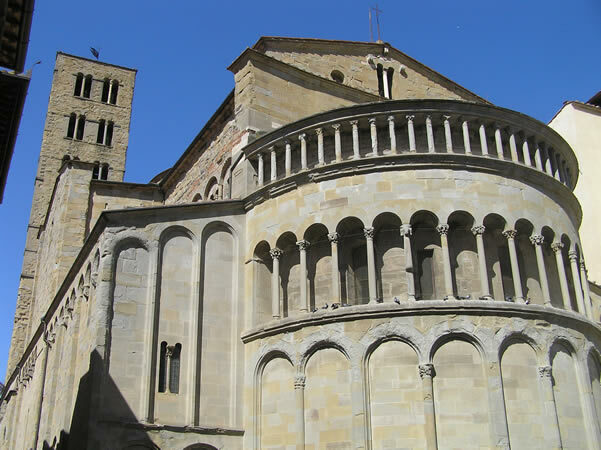 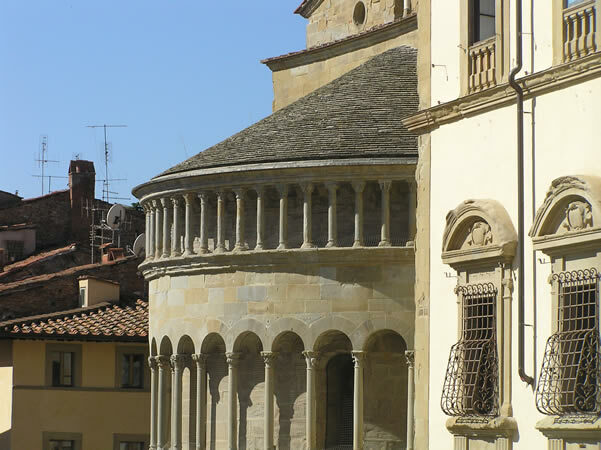 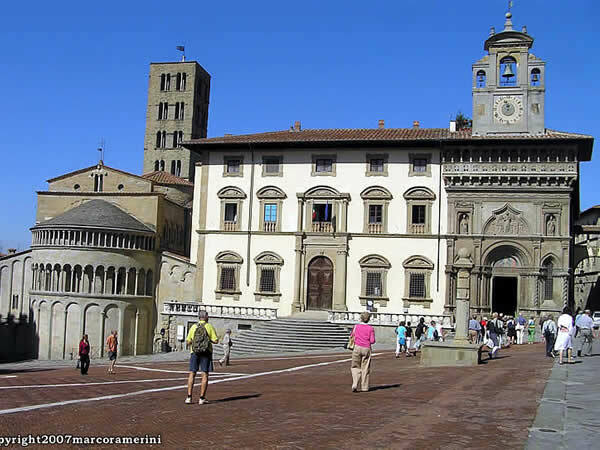 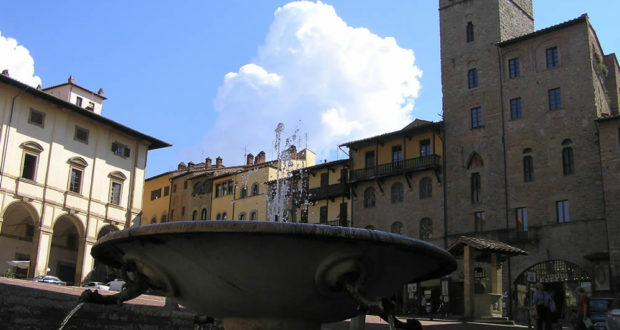 Piazza Grande, the most beautiful public square in Arezzo, is opened in the heart of the medieval city, the square is a mix of buildings of several ages that gives an evocative and scenographic aspect. 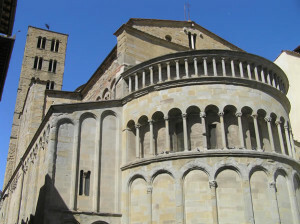 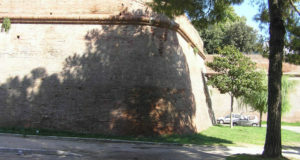 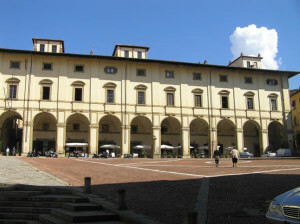 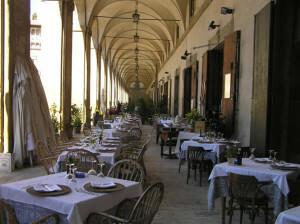 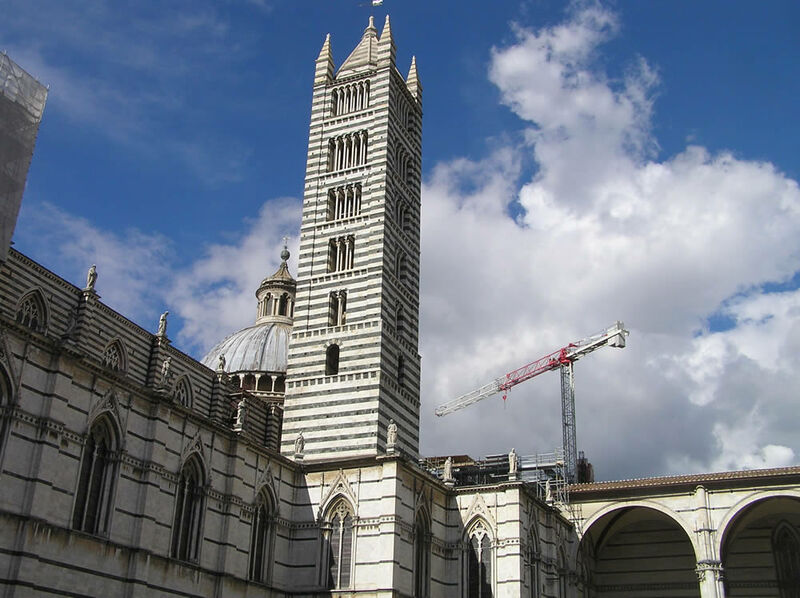 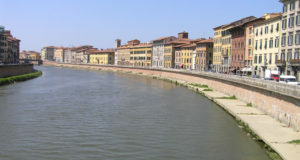 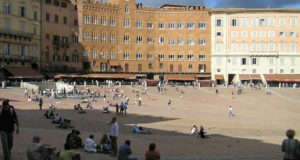 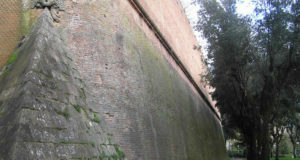 It has a characteristic trapezial shape, with a strongly tilted surface, the square was the ancient Platea Communis, risen around 13th century and then modified in the course of 16th century, when the public square was reduced to the current dimensions with the realization of the Vasarian Loggia. 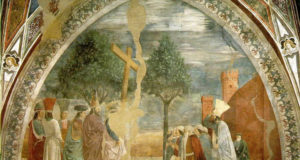 The square, in the communal age, was a place of mercantile exchanges between the city and the country, and then, in Medicean age, became the center of the civil offices. 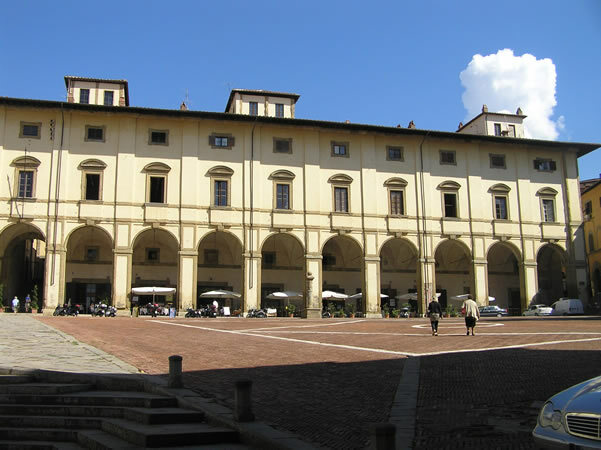 Between the buildings that characterize the square, are worthy of mention the imposing Palazzo delle Logge, constructed in 1573 from Georgio Vasari (1511-1574), the palace is opened by an immense and beautiful colonnade on which still are old craftsmen shops and business activity. 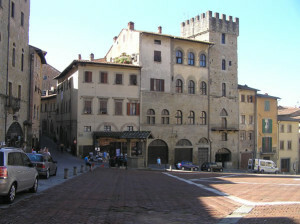 Continuing towards left we find the Palazzo della Fraternita dei Laici, elegant palace with Gothic and renaissance facade, its construction was begun in 1375 from Baldino di Cino and Niccolò di Francesco who constructed the doorway, then in 1434, Bernardo da Rosellino continued the construction of the facade, that was terminate in 1460 by Giuliano and Algozzo da Settignano, in the 16th century was added the small bell tower with the clock. 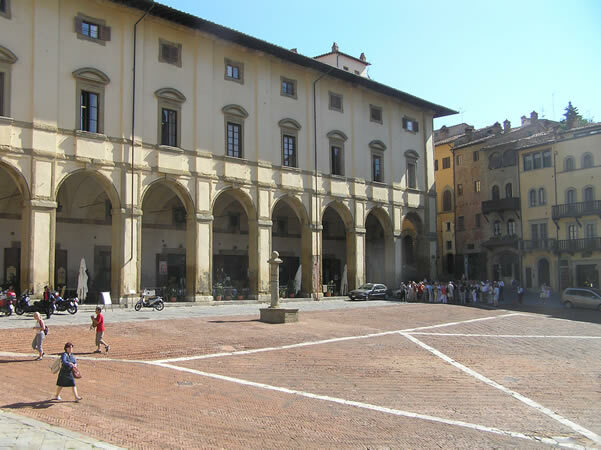 Next is the Pallazzo del Tribunale (17th-18th century) with an elegant semicircular perron; then is the apse of the Pieve di Santa Maria, whose facade is found on the opposite side in Corso Italia. 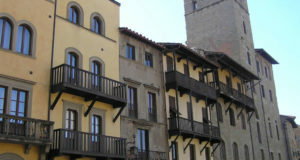 On the others two sides of the square are interesting constructions that conserve the original medieval character of the square with old houses with wood balconies and embattled towers. 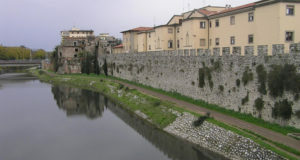 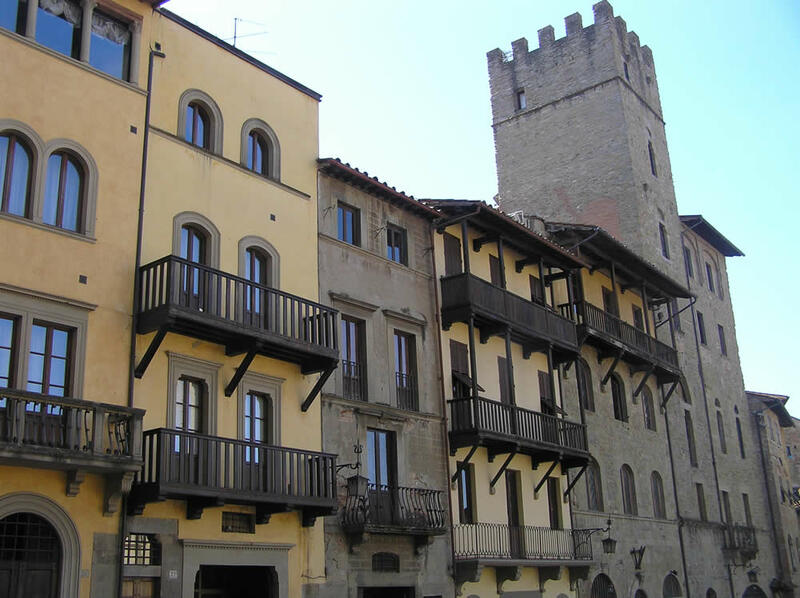 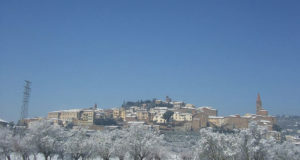 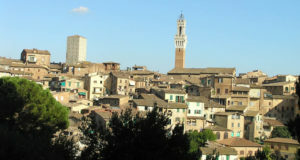 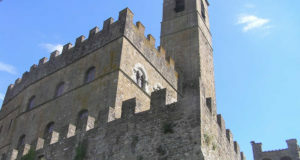 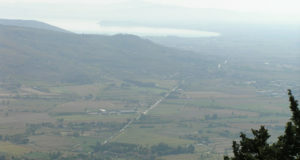 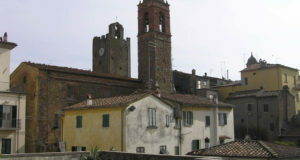 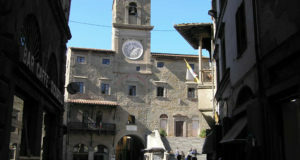 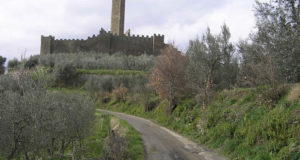 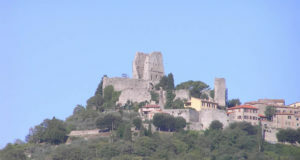 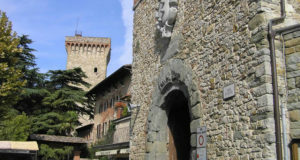 Between the more distinctive buildings are the Faggiolana Tower (13th century), the Cofani-Brizzolari Palace and the house-tower of the Lappoli (13th century). 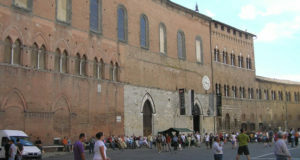 Piazza Grande is the picturesque scenery of the Giostra del Saracino – jousting tournament that takes place in June and September – and the Fiera antiquaria (antiques fair), which takes place on the first Sunday of the month and the Saturday before it.